Earth Day: Is Christianity to blame for environment problems? Today, the first day of the Northern Hemisphere Spring (the vernal equinox), has been celebrated as International Earth Day, according to the ‘Official Site of International Earth Day’. The concept, invented by journalist John McConnell, was first celebrated on the vernal equinox of 21 March 1970, and later proclaimed by (then) US President Gerald Ford in 1975. It has been celebrated ever since, including by the United Nations. The notion grew out of a 1969 UNESCO Conference on the Environment in San Francisco, and it has become an increasing focus for environmentalist activities and concern. [Note: Earth Day is now widely celebrated on 22 April in the USA and Canada, for various reasons outside the scope of this article]. Unfortunately, there is a school of thought within such circles that Biblical Christianity, particularly the Genesis view of Creation, bears a large part of the blame for environmental problems. For instance, the historian Lynn White Jr said in this context: ‘Christianity [insists] that it is God’s will that man exploit nature for his proper ends’. Does this charge stand up to scrutiny? Man is indeed told in Genesis to have dominion (רָדָה rādāh) over the Earth, to subdue (כָּבַשׁ kābash) it. The Hebrew words used can have the sense of crushing, like grapes in a winepress, but also reigning over something, controlling it. Control or reign can of course be benevolent, as well as destructive. E.g. Micah 7:19, in which to subdue (kabash) our sins is a sign of God’s compassion. Leviticus 25:43 ff condemns ruthless dominion (radah). In contrast, 1 Kings 4:24–25 says that Solomon’s dominion (radah) resulted in peace, safety and ‘each man under his own vine and fig tree’. So the type of radah must be decided by context. Since these words were spoken by God into an Edenic situation, before the Fall, it is especially hard to imagine any sort of destructive or ruthless implication to them. This ‘dominion mandate’, as it has been called, has usually been taken as an instruction and mandate to bring the Earth into submission for mankind’s benefit. It has helped give the impetus to the flowering of science and technology in the Christian West. This was especially so after the Reformation, in which the Bible, along with a more consistently Biblical worldview, was ‘rediscovered’ by the masses. Consistent evolutionary thinking, of course, cannot permit the notion that the whole of creation is focused around mankind, and seeks to portray such an attitude as arrogant anthropocentrism (man-centredness). Interestingly, the idea that, because man is nothing special, we should treat other species with special favour, suffers from an ironic inconsistency; since these other species are all ‘out for themselves’, why should mankind, if we are ‘just another species’, not do likewise? In other words, it is the very uniqueness of mankind which gives us the capacity to exercise special care, benevolent radah. The Biblical view is indeed man-centred, but not in a sense meant to appeal to man’s vanity. Though man-centred, in a deeper sense it is God-centred. God made plants and animals as adjuncts for man’s stay on Earth, i.e. for man, who is to rule over them. They provide food, oxygen, companionship, and an ecological background to our own existence. Even the stars serve mankind, for signs and denoting seasons, etc. They also serve to declare God’s glory—not only in the night sky to unaided eyes, but also as we discover new stellar marvels previously invisible to the naked eye. But the ultimate role, if you will, of mankind has to do with the provision of a bride for the Lord Jesus Christ in eternity. The culmination of the entire Biblical timeline is the reigning of Christ in glory unto the ages of the ages. This Bride is redeemed humanity, called out from humanity as a whole. Thus in one sense creation’s ‘purpose’ is to serve mankind, but mankind’s purpose is to serve as a source for the Bride which will accompany Christ in His eternal reign. Since part of the role of the biosphere (a common collective name for the whole realm of living organisms) is to provide a ‘support function’ for mankind, it is hard to see how consistent Christian thought could warrant or justify activities which threaten its health or viability. The reality is that nations and cultures with a Christian background have, on the whole, the best track records when it comes to issues like pollution, etc. Following the collapse of communism, the appalling environmental track record of these socialist ‘model states’, run on atheistic assumptions, went on world display. Another common myth of our times is that of the ‘noble savage living in harmony with his environment’. The belief is that the more animistic, nature-worshipping cultures have an intrinsically greater respect for their environment. Again, reality suggests strongly that the only reason why less-technological societies often wreak less damage than technological ones is their reduced numbers or reduced technological capacity to inflict major changes on their surroundings. Recent evidence has caused most researchers to concede that massive waves of animal extinction, for instance, have followed the activities of the aboriginal peoples of Australia and the Americas. Deliberate burning by indigenous peoples is now thought to have converted vast tracts of forest to open grasslands. Creationist scientist John Woodmorappe has written an interesting article in this context, refuting this ‘noble savage’ myth. This is not to condemn, but to say that people everywhere have used their ‘savvy’ to control their environment for their own survival and comfort. Bottom line: there is no need to be cowed by the false accusation that Christianity, not sin, is somehow to blame for pollution. From the thoughts of the late great Francis Schaeffer, let us illustrate it this way: The Christian sees a tree in its proper perspective. He respects it as a tree, created by God. Though he therefore does not condone chopping it down just for the sake of wantonly chopping it down, he is free from pagan ‘sacred grove’ taboos about nature. Thus, he is quite relaxed about chopping it down to fulfil his need to build a house. At the same time, his Christian duty toward the needs of future generations means he will plant at least another to take its place. There are few ‘permanent answers’ on most environmental issues, because much of the data is in a constant state of flux. But if we start our thinking from a consistent Biblical worldview foundation, we can make sense of things more readily. We need to respect and look after God’s world, but not to go to the opposite extreme of neopagan nature worship. 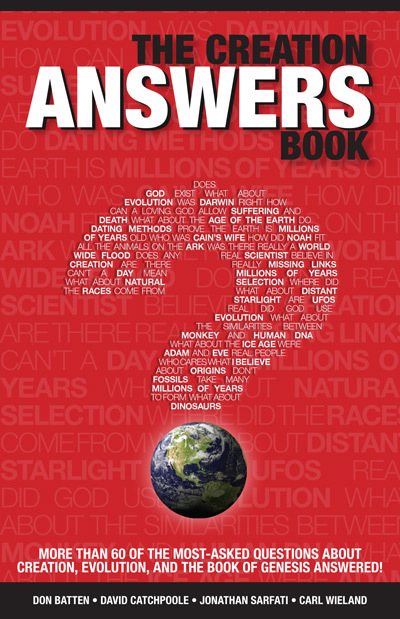 As with so many issues, the answers on ‘how to think’ start with Genesis. See also last year’s article: ‘Earth Day’—a Christian perspective, and for a more detailed commentary on environmental issues, see Fouling the Nest: Christianity and the environment.